Miami Slip and Fall Lawyer | Lipcon & Lipcon, P.A. An award-winning trial attorney at Lipcon & Lipcon, P.A. is ready to assist you with your slip and fall injury lawsuit. The best Miami personal injury lawyers have experience with these cases and know how to win. Learn about the types of damages you can recover in a slip and fall case with the help of one of the top Florida law firms. Aggressive legal representation is necessary from your lawyer to win your case. 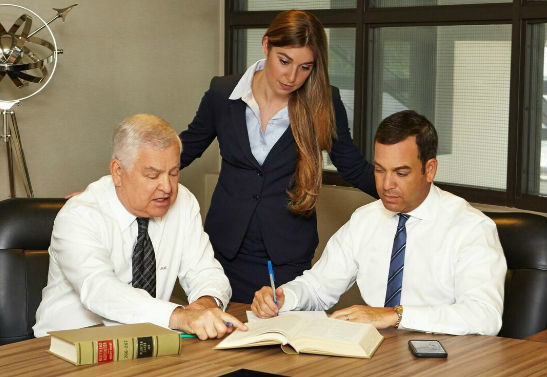 The honest attorneys at this top law firm are ready to fight for your rights to help you receive maximum compensation for your injuries. Slip and fall accidents are a painfully common occurrence in the state of Florida. Whether it happens at the public swimming pool, a grocery store, or another person’s house, these accidents frequently happen and can cause serious injury. Slip and fall cases can result in more than just a couple bruises. These accidents can result in broken bones, concussions, and serious injuries that lead to physical therapy or loss of future income. A seasoned trial attorney can help you determine the party at fault in your claim and explain the types of damages that you can potentially collect while you continue recovering from your injuries. How Can Premises Liability Attorneys Prove Fault in a Slip and Fall Lawsuit? The Florida civil court system allows victims to pursue damages for slip and fall incidents. The legal team for the victim must prove that there was another party at fault for the accident. However, in a workplace slip and fall accident it is not required to prove fault. This is due to the Florida Workers’ Compensation Program in place. The defendant leased, occupied, or owned the property that the slip and fall accident took place at during the time of the accident. If the property does not have an occupant, then the liability falls on the owner. The defendant in the case was negligent with the upkeep of the property. The property is required to be maintained for safety. If the property is neglected in a way that is unsafe for visitors, then the owner or occupant could be held responsible for injuries. Premise liability claims in Miami-Dade County require that the victim suffer an injury to be eligible for a lawsuit. The plaintiff should provide medical records, statements from medical professionals that provided treatment, and expert testimony. If ongoing medical care is necessary in the aftermath of the incident, then the plaintiff will also need to provide proof of long-term care requirements. The plaintiff must also be able to show that the negligence of the other party was the cause of the harm. This can be shown with proximate cause and a substantial connection between the injuries and the negligence. The negligence does not need to be the sole cause of the accident, but it must be a contributing factor. How Does Duty of Care Play A Part in Premises Liability Lawsuits? In Florida, premises liability lawsuits, the property owner or occupant owes a duty of care to the visitor of the property. Visitors are either an invitee, a licensee, or a trespasser. The highest standards of care should be given to invitees. The courts have determined that a lower standard is given to licensees, but almost no duty of care is required for trespassers. A seasoned slip and fall attorney can help you determine what type of visitor you are considered and what duty of care you were owed at the time of your incident. 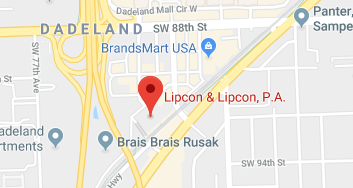 Consult with a Miami Slip and Fall Attorney at Lipcon & Lipcon, P.A. When you’ve been involved in a slip and fall accident, the expenses can add up quickly. Medical bills, loss of income, therapy costs, and more are all associated with these types of injuries. No matter how severe the accident, if you’ve incurred damages as a result then you could be entitled to financial compensation. Let the experienced trial attorneys at Lipcon & Lipcon, P.A. evaluate your case. They can help determine which party is responsible for your injuries, prove the severity of your case, and pursue financial compensation on your behalf. You should never wait to take legal action for your slip and fall injuries. The harm caused by these types of cases should not be ignored. You’ll receive a free consultation and have the benefit of working personally with your assigned attorney, who will fight for the compensation you deserve. Hire the family law firm of Lipcon & Lipcon, P.A. and start benefiting from their legal services. The attorneys are ready to fight for your rights in court with honest, aggressive representation. Call the toll-free number at (866) 824-4080 or the local number at (305) 670-6144 to speak with a lawyer about your slip and fall case.